SKU: CR-9477 Category: Men's Outerwear Brands: Charles River Apparel. 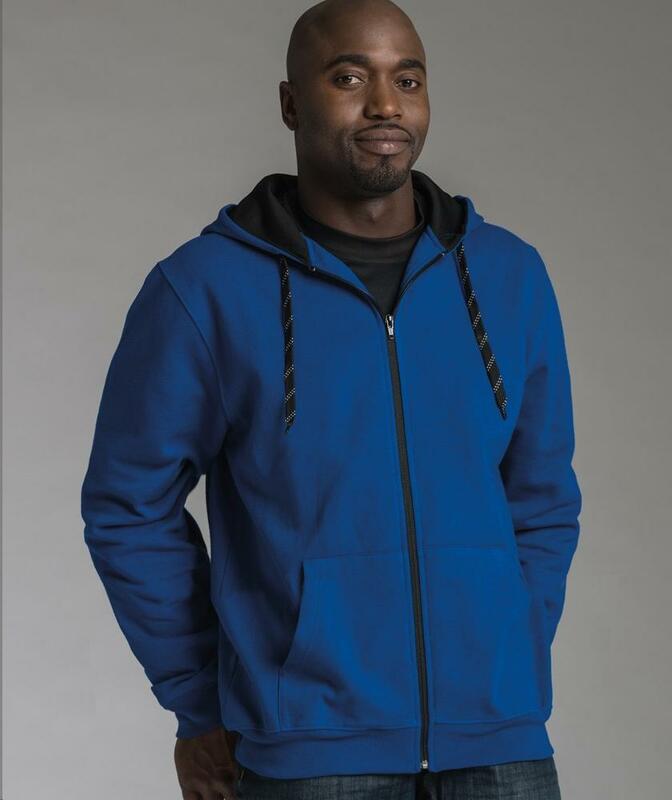 Features a technical water-repellent coating that makes water bead off the fabric, yet retains its soft sweatshirt feel! Made from 60% cotton/40% polyester sweatshirt fabric 8.21 oz/yd? (equiv to 13.76 oz/lyd, 280 gsm). Traditional hooded design with front pouch pockets. Contrast-colored hood lining, drawstrings, and zipper. Rib knit cuffs and hem.